So you’re ready to buy your first piano. A piano isn’t just an instrument you’ll tuck away – out of sight, out of mind. Instead, the piano becomes a centerpiece of your home. Of course, it provides a place for you and your children to learn a new skill. Why not gather friends and family around for a night of music? But more than simply learning to play the piano, it’s the one instrument that takes up its own presence sitting in one of your rooms. It has to bring character and personality to your home. It makes a statement, so it’s equally as important to choose one that looks and feels perfect for who you are. It’s easy to get fixated on things that truly don’t matter. Like price. Select one solely based on price, and you’ll likely bring home a piano that doesn’t fit with any of your decor. It will be the most expensive thing you purchase that you try and shove into a corner to hide from the rest of your furnishings. Or grandeur. Yes, we’ve seen plenty of people buy a piano simply because of how grand it will look in their homes. Only to get it home and not have the space for it anywhere. You don’t want to buy a statement piece whose only statement is: how can I walk around it when it touches every wall in the room? A piano is designed to live harmoniously with the other fixtures in your room. It’s also best away from windows, doors, or heating vents that can damage the instrument and require more tunings and repair. Once you’ve taken stock of where you want your piano placed, measure it. Take pictures of it. Consider what you want your piano to say within the room. Blend nicely? Take center stage? There really is a piano for everyone. Not everyone should purchase a classical grand with a traditional black case. But stretch beyond looks too when making your final decision. Touch it. Feel the keys. Listen to their sounds. Just like people, every piano has its own unique personality. Some pianos you “get.” You just know they’re the right one for you. For more ideas on finding the perfect piano for your home, stop by today. Coltharp Piano World, in Memphis, Tennessee has been in business more than 40 years. We specialize in new and used pianos and have one of the largest inventories in the Mid-south. We have partnered with educators, musical professionals and musical venues all over the country. We offer a wide range of piano services including; Concert Service, Moving, Restoring, Refinishing and Rentals. What Piano Brands Should You Consider? 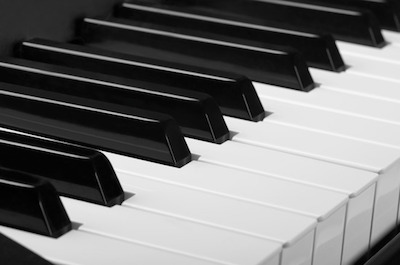 What’s The Right Piano Model For Your Needs? How Do You Know How Much To Pay For A Used Piano?